Children’s universities have become a something of importance in the last decade, and in Europe alone, more than 350 children’s universities have been established. With there being no single model for a children’s university, their common goals are as follows: introducing children to science and art at a young age, allowing them to be curious, allowing them to develop their skills and problem solving, training them to pursue new and original information, instead of repeating it, and helping children to be able to grasp and understand science and its related disciplines.. One of the most important common goals of children’s universities surfaced because of the differences in education quality and facilities between different schools. One of the newest emerging institutions with regard to this subject is the Istanbul Kemerburgaz Children’s University. Being founded with İSTKA project support in 2013, it began with five different programmes, and has reached out to approximately 1000 children. . Within this proposal, the Istanbul Kemerburgaz Children’s University is under the umbrella of the Sustainable World School. Under the Sustainable World School, which has two programmes called “My Own Garden” and “Not Plastic; Cloth” have been executed. When determining which elementary schools should participate in these programmes, Başakşehir, being a socio-ecomomic disadvantaged district, was chosen. As participants both 3rd and 4th grade students from five different elementary schools were chosen. A total of 400 students from 22 different groups, on different dates, participated in the programme. In the workshops, the necessities of environmental sustainability were discussed, ideas were formed, and applications were made. This program’s aims: we are aware consumers, meaning our choices for consumption should be in favor of a more pollution free world, how to make them see how our personal behaviour affects the whole world, teaching children that even the smallest step taken by them contributes to the world’s pollution outcome; thus it is very important to have a sustainable world, and to teach a generation about a quality sustainable environment. In the foundations of the applications process a “teaching through art” mentality resided. 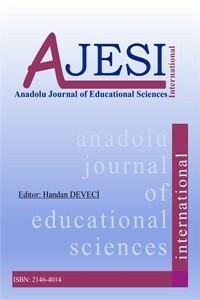 In the proposal structures for children’s universities in both Turkey and the world were mentioned. Istanbul Kemerburgaz Children’s University’s programme for a Sustainable World School has been defined in detail; including its applications and its research environment, and participant opinions have been reflected in a descriptive manner by using open ended questions.